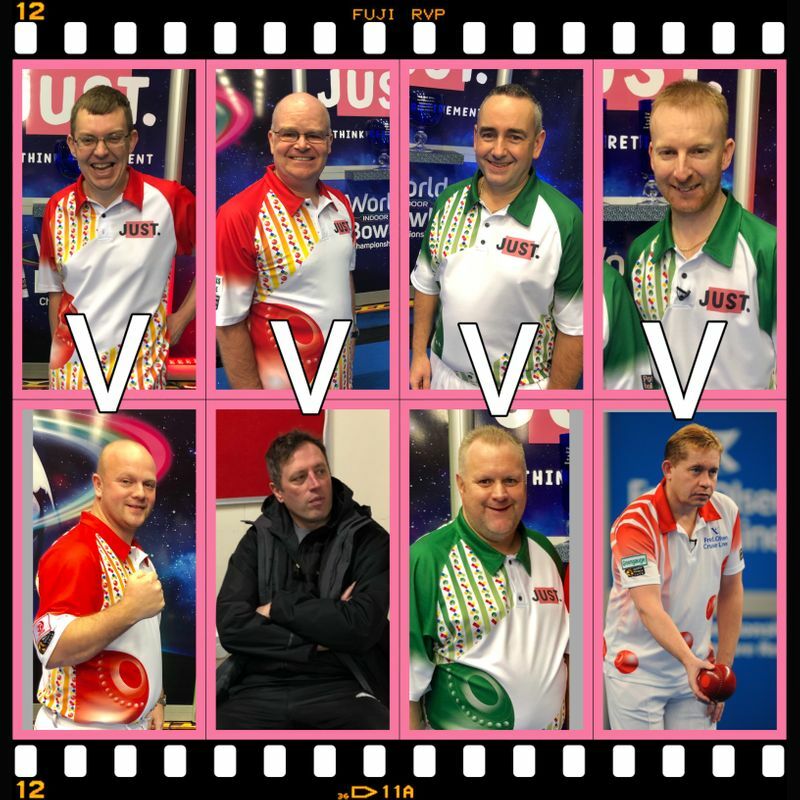 tFormer champions Darren Burnett, Nicky Brett and Greg Harlow took out the last three remaining places in Just World Indoor Singles quarter finals on Friday. Burnett, the 2014 holder of this title, was the first in action and in a repeat of that final six years ago, he went head to head against local interest and number 11 seed Mervyn King, and won the first set 11-4. However it was a different matter in an exciting second set with King, who won this title 2006, taking an early 5-1, three end lead. The Scot, a community police officer in Tayside, clawed back with a 1, 2 and 2 to move 6-5 ahead, back came King with two singles to hold a narrow 7-6 advantage playing the last, but with his last bowl drew the shot to a ditched jack to take a single, share the set at 7-7, and win the match by one and a half sets to a half. 2016 champion Brett faced up to Alex Marshall MBE – the world’s most decorated bowler and a record six time winner of this title, the last of which was in 2015. Marshall struggled with his form in the first set, amazingly losing 12-0 with two ends to spare, however it was a different story in the second when everything came together for the East Lothian man as he dropped only two ends on his way to a 9-4 win and take the match to a tie break. He continued that winning run of shots when he took the first end of the shoot-out, but Brett knuckled down and won the remaining two to set up his tilt at the title. In the last match of the day, world champions Greg Harlow and Andy Thomson MBE faced off for that last quarter final berth. World number 1 Harlow was never troubled in the first set winning 10-1 but Thomson staged a great recovery in the second where a treble on the sixth end left the scoreline standing at 5-5. But that was as good as it got for the back to back winner in 1994 and ’95 then again in 2012 as Harlow hammered home a finishing burst of 2, 1 and 2 to seal the verdict 10-5. Defending champion Mark Dawes, 2013 winner Stewart Anderson and seeds Les Gillett and Simon Skelton along with Tourcard Rep Scott Edwards complete the line up. Check out the Results from today 24th January and the Schedule of Play for the quarter finals.